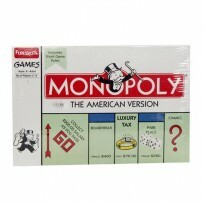 Funskool Monopoly - Jackpot Board Game In the Monopoly Jackpot game, players spin for the chance to win it all! 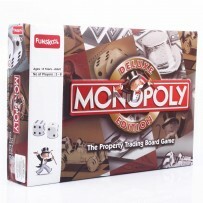 Throughout the game, players travel around the outer track of the game board buying properties and collecting rent. But if they land on a Chance space or roll the Chance icon on a die, it's time to spin the Chance spinner and hope to make some extra big money. Players just might hit the big jackpot or they could lose it all and go bankrupt or even get sent to Jail. The player who has the most cash when the bank goes bust wins! For 2-4 players.